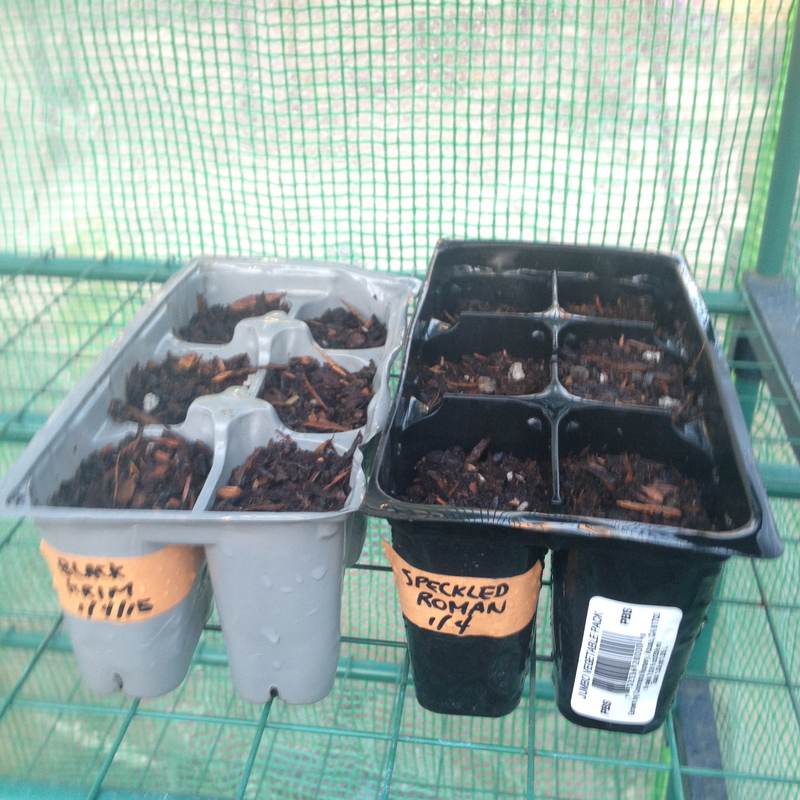 When I began this blog I shared with my readers that I was going to plant everything from seed in 2012. It would be a first. And, with the exception of three pepper plants, everything in my garden was grown from seed last year. 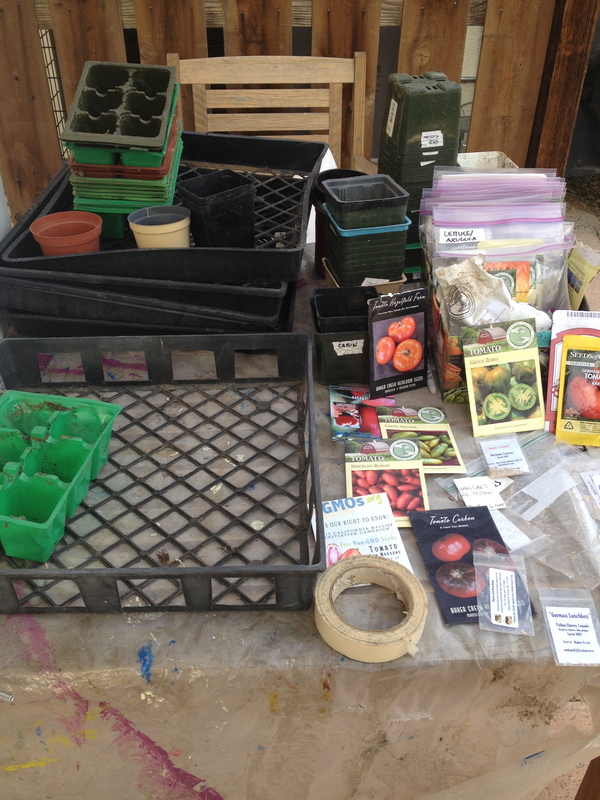 Making the promise to grow everything from seed motivated me to expand my seed buying options, and I turned to seed companies that grow and sell heirlooms. 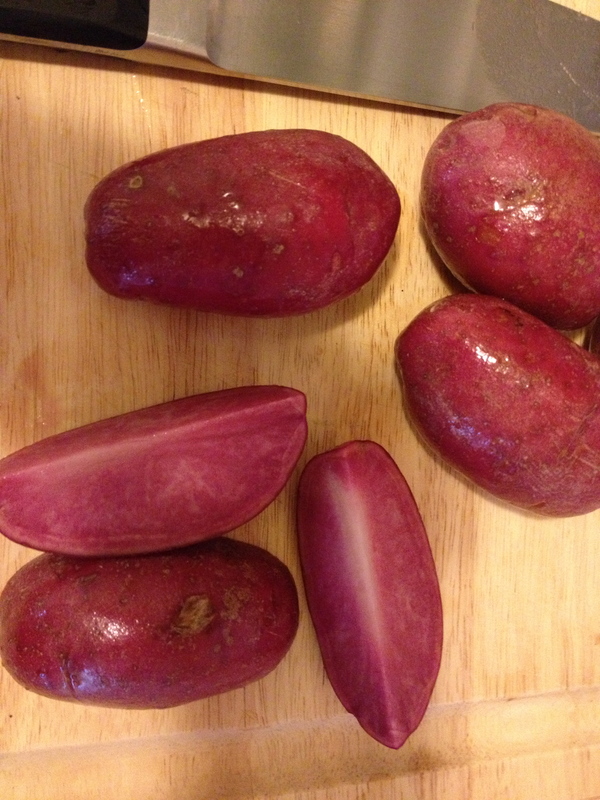 Pink heirloom potatoes picked up at the farmers’ market. Delicious and a great color to get one particular child to try them. Heirlooms are far more interesting than the typical varieties you find in the grocery stores. Grocery store veggies are often grown from hybrids that produce fruit and vegetables that can withstand mechanical harvesting, are stronger for transport, don’t blemish as easily, or are resistant to certain pests. Genetically modified crops are designed to resist particular pesticides or herbicides. 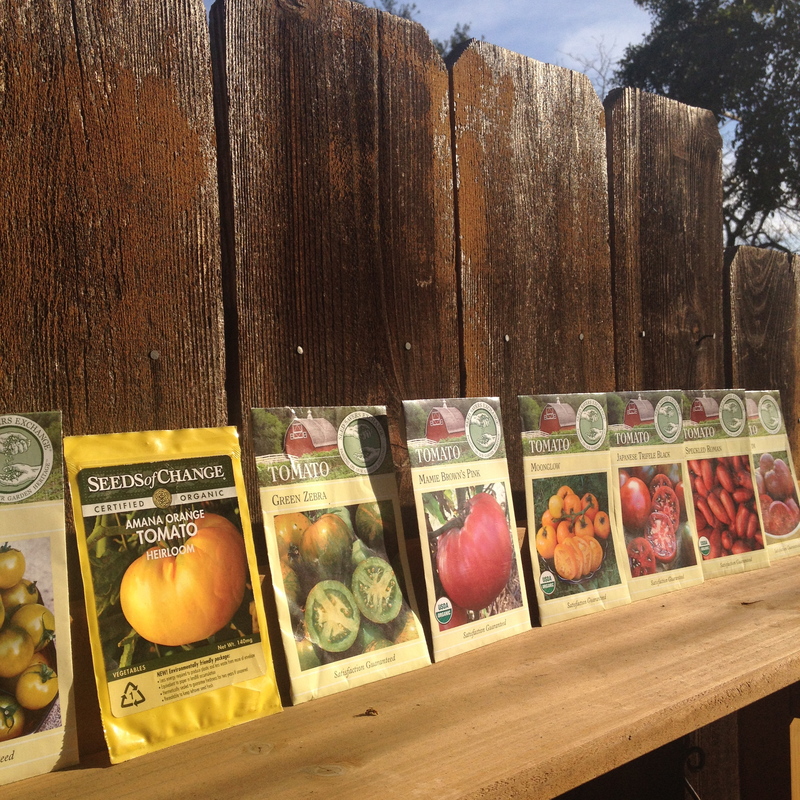 These varieties are not bred for a particularly rich flavor or color. They are bred for mass production, transport, and a good shelf life at the grocery store.